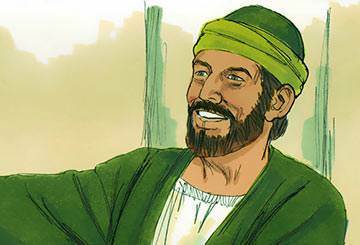 Barnabas was formerly known as Joseph, and was a Levite who hailed from Cyprus. After he was converted, he joined the group of believers who worshipped in Jerusalem. He was later given the surname ‘Barnabas’, which means ‘one who encourages’. No doubt the apostles saw in him the evidence of an encourager when they gave him this name, and his subsequent behaviour and attitudes show how appropriate and well-chosen it was. 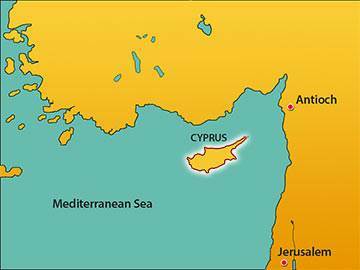 One of the very first actions which demonstrated Barnabas’ ministry of encouragement was his willingness to sell a field which he owned in Cyprus and give the money to the apostles for distribution to those who were in financial need. “A generous attitude”, said someone, “is the basis of all sound human relationships.” Are you a generous person? One well-known minister says he makes this his daily prayer: “Today, dear Lord, I intend to be the channel, and not the stopping place, of all Your generosity to me.” Worth copying? Three years after his dramatic conversion, Saul had to escape for his life from the Jews of Damascus, and he returned to Jerusalem where he tried to join the group of believers meeting there. For some strange reason, the disciples appeared to be afraid of him, suspecting an attempt by the Jews to infiltrate their fellowship. 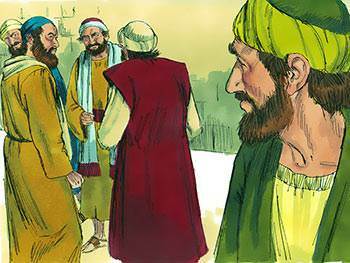 At this stage in Paul’s history, Barnabas intervenes and takes him to the apostles, vouching for the genuineness of his conversion. 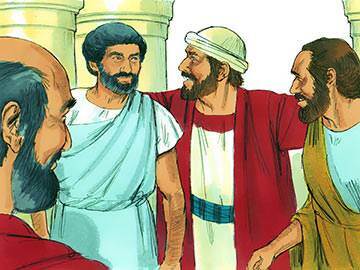 He recounts to them how Saul boldly preached the Gospel in Damascus, and it was as the direct result of Barnabas’ intervention that Saul was able to continue his ministry in Jerusalem itself. What a different place the Church would be if more people took on the role of a mediator in times of conflict, tension or stress. It takes a person of special character to be a mediator—balanced judgment, objectivity and deep concern. Take a moment now to ask God to make you such a person. Barnabas was highly regarded by the apostles in Jerusalem, and was sent by them to Antioch in Syria to oversee the evangelistic work going on there, particularly the work among the Gentiles. He rejoiced at the evidence of God’s grace, and sought out Saul, who at that time was living in obscurity in his native Tarsus, to come and join him in the work of teaching and encouraging the new converts. 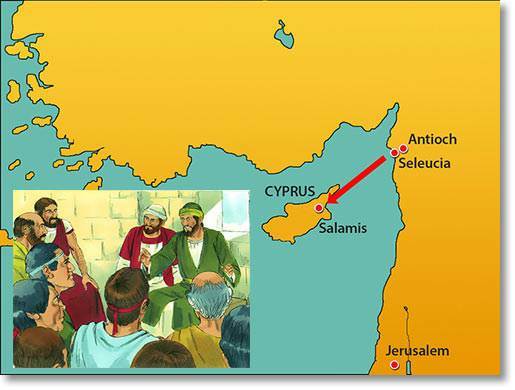 After a trip to Jerusalem together in order to take a gift from the local churches for famine relief in Judea, Barnabas and Saul were commissioned by the church at Antioch and sent out on the first pioneering missionary journey to Galatia, calling at Cyprus on the way. How easily we forget that the reason why we have the Gospel today is because a missionary came our way. Do you believe in missions? “Those who don’t believe in missions”, said one writer, “are usually the kind of people whose religion isn’t worth propagating.” Ouch! Like Stephen, Barnabas was a good man, full of the Holy Spirit and faith, and the sort of person who was able to contribute greatly to the growth and establishment of the early Church. He had many noble characteristics, but no doubt the greatest was his ability to open up to God and allow the Holy Spirit to flow through his life in service to others. Some commentators claim that much of the credit for Saul’s rapid growth in the things of God must be placed at the feet of Barnabas. It certainly seems that the ministry of encouragement—the ministry in which Barnabas specialised—had a tremendous influence upon the apostle Paul (see again Acts 9:26-29). Are you a Spirit-filled person? If not, why not? In seeking to become Spirit-filled, however, make sure that your desire is not to get possession of the Spirit, but for the Spirit to get possession of you. This refinement of purpose is decisive, for if you just want to use God rather than be used by Him—it won’t work. Barnabas is one of those minor characters of Scripture, who at once gain and lose by their closeness to a greater figure. He gains much from his relation to the gigantic figure of Paul, for it was in company with him that his best work was done. And yet, perhaps, he suffers more: for the friend with whom he walks is so colossal that we forget all when we see him. A mountain in Scotland would be a hillock in Switzerland. A Thames in England would be an obscure rivulet if it poured itself into the Amazon. This day, thy soul set free. Lo! ‘mid the saints he stands. Who faith’s glad message spurn’d? After being introduced to the believers in Jerusalem by Barnabas, and almost immediately being driven out of the city by the hostile Jewish religious leaders, Saul spent some ten years of his life back in his native city, Tarsus. 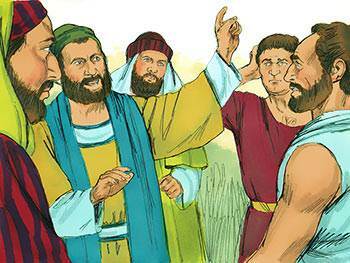 We are not told what he did there, but Barnabas did not forget him, and once again gave him an encouraging and inspiring word. 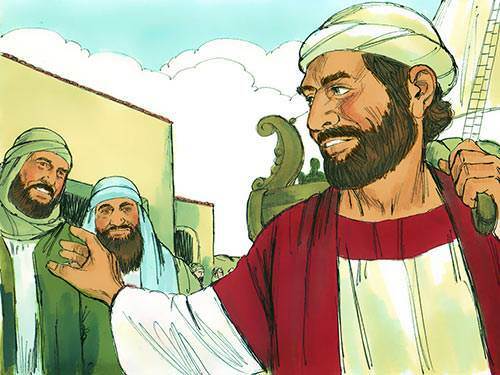 As a result of Barnabas’ meeting with Saul, the newly-converted disciple worked with him in Antioch for a full year, during which time Barnabas, the ‘encourager’, no doubt built into Saul’s life a solid foundation which would stand him in good stead when he later took up his calling as the apostle to the Gentiles. 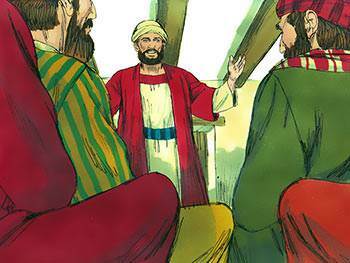 The first believers in the early Church were, of course, Jews to a man, but later large numbers of Gentiles were added to the Church, particularly in Antioch. Certain men came to Antioch from Jerusalem, teaching that circumcision was essential for salvation (v. 1)—a teaching that was hotly contested by Paul and Barnabas. The local church decided that the dispute must be resolved at the highest level—the Council at Jerusalem. 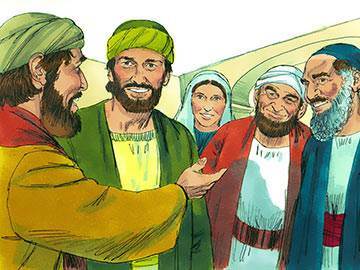 A delegation is sent, headed by Paul and Barnabas, to meet the leaders of the Jerusalem church, who welcome them most warmly. 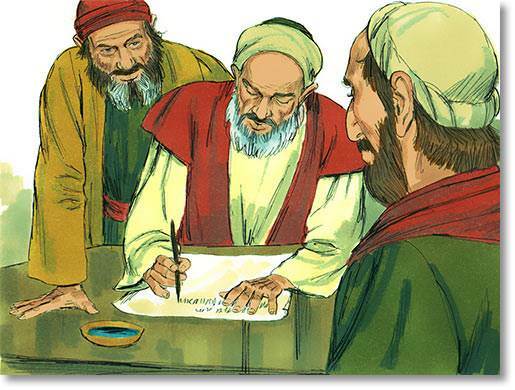 Paul and Barnabas present their case that circumcision is not necessary for Gentile believers, and after listening to both sides of the argument, James gives a judgment in favour of the view of Paul and Barnabas. God has appointed a clear strategy for resolving arguments and difficulties in the Church. 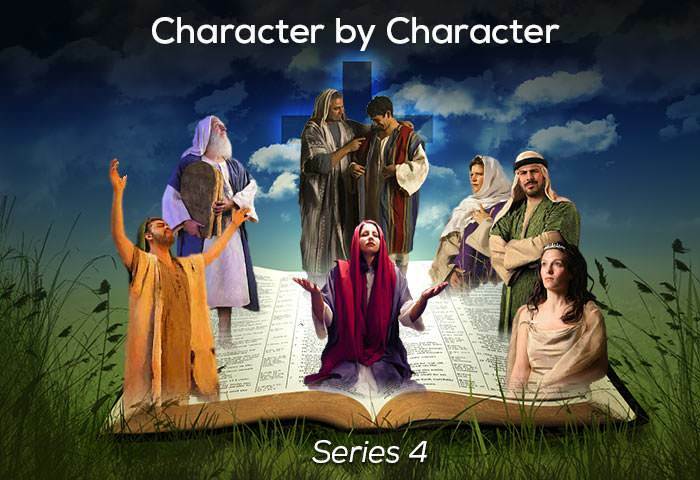 No spiritual problems or difficulties among believers ought to be taken to a secular court. Are you aware of this strategy? If not, you can read all about it in Matthew 18. Study the steps carefully—and follow them when necessary. 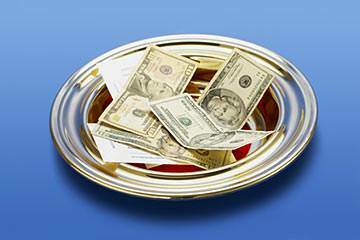 In general, the apostles did not support themselves financially, but expected the churches to whom they ministered to provide for their daily needs of food and shelter. Paul gives the justification for this approach to the Christian ministry (1 Cor. 9:14), but says that, for special reasons, he and Barnabas had not laid claim to their rights in this matter (1 Cor. 9:12 & 15). In another section of Scripture, we read that Paul supported himself by working as a tent-maker (Acts 18:3), but nothing is said anywhere in the New Testament as to how Barnabas achieved financial independence. No doubt Barnabas was led by the Spirit to adopt this exceptional stance toward the ministry. The general principle laid down in Scripture is that those who are engaged in ‘full-time Christian ministry’ should be supported by the believers to whom they minister. How adequately is your ministry’s spiritual leader supported? Don’t just overlook this issue—look over it. Maybe God has brought it to your attention for you to take some positive action. John Bunyan, we are told, modelled his character, Mr. Greatheart—the companion, defender, guide and friend of all weaker pilgrims on the King’s Highway—upon Barnabas. Barnabas is certainly one of the greatest of the early Christians, and tradition tells us that he founded churches in Cyrus and Milan. 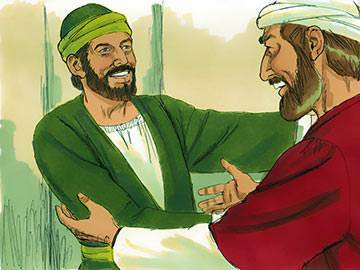 The outstanding lesson to be learned from Barnabas’ life is, without doubt, the importance of the ministry of encouragement. The word translated ‘encouragement’ in the New Testament is usually the same word used for the Holy Spirit—“Comforter”, or “one called alongside to help”. We are never nearer to the work and ministry of the Holy Spirit than when we involve ourselves in the task of encouraging. In a day when so many people are discouraged, how necessary—indeed imperative—is this vital ministry. Ask God to make you a true and effective ‘encourager’ in His Church from this very day.